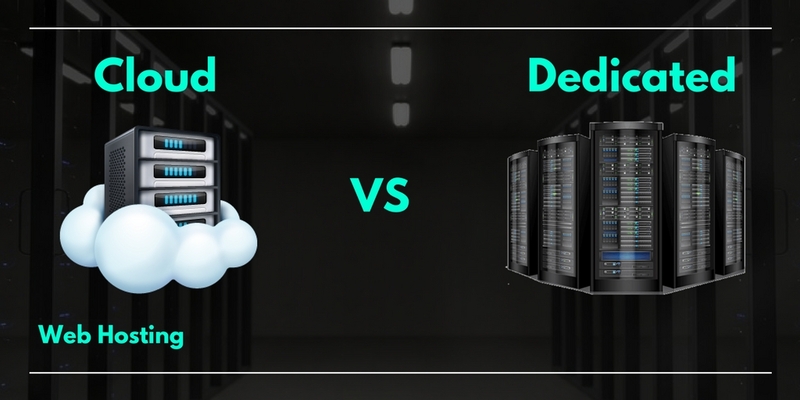 Cloud Hosting vs Dedicated Hosting, which is best? Home / Website Hosting Tips / Cloud Hosting vs Dedicated Hosting, which is best? You might be wondering what the difference between cloud hosting is and dedicated hosting? Along with each feature, we will introduce the important points of cost, performance and infrastructure, and operation of each type of hosting. The difference between the cloud and dedicated server is not limited to the server itself, network equipment and monitoring functions can be freely used online at any time, in an environment where high tolerance and availability are secured. Clouds can add servers and change the network configuration at any time as needed, so expansion and shrinking of services are possible, and it is possible to build fault tolerant system infrastructure in a short period of time. Even in terms of fault tolerance, virtualized environments are less prone to malfunction of servers. Also, mechanisms for distributing data such as storage services are also provided, so unlike dedicated servers, they are used immediately. It has the advantage of being able to do so. Because the entire system is infallible, it can be used without worrying a failure. · Performance evaluation is difficult because it is virtualized. Since resources are shared within the same service, there is a high possibility of being affected by other users. · The underlying system is complicated. Because it is made into a black box, it is difficult to identify the failure point. · Dedicated Server The biggest merit is that you can own a single server entirely, so you can get a stable server environment without being affected by other users. Although it is not as flexible as the cloud, improvement of availability and load balancing by configuring multiple units such as backup and redundancy are possible, but it is possible to perform operation close to that. · Furthermore, as a feature to be compared, the cloud has virtualized all the infrastructure, so there is a problem that it is difficult to see the bottleneck of the system, but the budget dedicated server can easily decide even for those points, It is easy to solve the problem. · Introduction of dedicated load balancer, firewall, etc. · To improve server performance, physical addition or hardware exchange is required. 1. Price and cost - In cloud hosting, you usually pay for what you use. Most providers adopt a metered scheme in cloud hosting. With traditional hosting, you need to purchase a package for upgrading the hosting cloud. 2. Performance - You need to take care of your server's performance very seriously. Normally you should get good performance, but if the server does not have good hardware, it can be subject to large performance issues. Mainly storage is an important factor determining the performance of the server. You need to confirm this with a sale or support team before you buy hosting. 3. DDOS Protection - This is another factor to check with your pre-sale steam. DDOS attacks are very common these days and cloud hosting providers need to have an effective DDOS prevention method in place. 4. Customer support - Excellent customer service availability is a major concern of the cloud hosting industry. We need to make sure that your support team will be available at any time to help you. Since cloud hosting is being used in regular companies, you can check that the support team properly contacts support and confirm the validity of the request before passing any important information It is necessary to confirm. The scope of support needs to be understood, whether it is fully managed or whether they assist only for specific problems. 5. Data centre & Disaster Recovery - You must know where your server is based and how safe it is. Please contact your sales team for location, security, and disaster recovery measures. In case of natural disasters like floods, earthquakes, storms and fires they are planning to protect your data. The disaster recovery plan plays a major role in such cases and you need to be aware of the technology that your provider will use. If you looking for Dedicated Server for USA, Click Here to find out more. No doubt cloud hosting is more reliable and it poses less problems because its hardware is not one single physical device but different devices based across locations. That overpowers it over dedicated servers. Also, the ease in the scalability of the cloud hosting over dedicated hosting makes cloud hosting a choice to avoid hardware problems. A wisely chosen hosting proves to be the most reliable hosting.